This year, the popular trends include animals prints and sparkles for girls and classic mid-tops for boys. Athletic shoes are bright and colorful - specifically with cool blues and electric greens! Wishing you a happy and easy back-to-school shopping season! 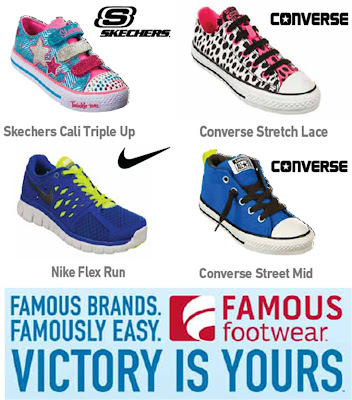 Famous Footwear invited several local bloggers to a fun after-hours event last weekend. We were treated to a private shopping time, a gift card, and snacks in exchange for honest posts about the store and products. As always, all opinions are 100% mine!